I started celebrating picture book author and illustrator birthdays with my family in 2010. Six and half years later we celebrated our 300th birthday. I invite you to stop by the blog to meet some new picture book creators and hopefully be inspired to plan a birthday celebration of your own! WHY WAIT? 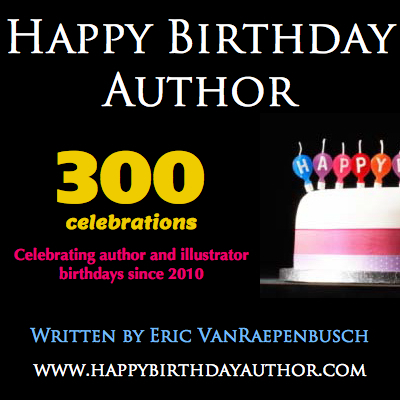 - click here to visit HAPPY BIRTHDAY AUTHOR now! Many Hats Needed for My Story Time!